Crazy to believe that this year I'm celebrating Mother's Day as a Mother. And now that I am, I am beginning to second guess the items that I have given my mother over the years for Mother's Day (Did she really want or need those things?!). As such, I've come up with a more modern Mother's Day Gift Guide. And when in doubt, beautiful flowers and a trip to the spa will do the trick! Happy 1st Mother's Day! Great picks, love those flowers! 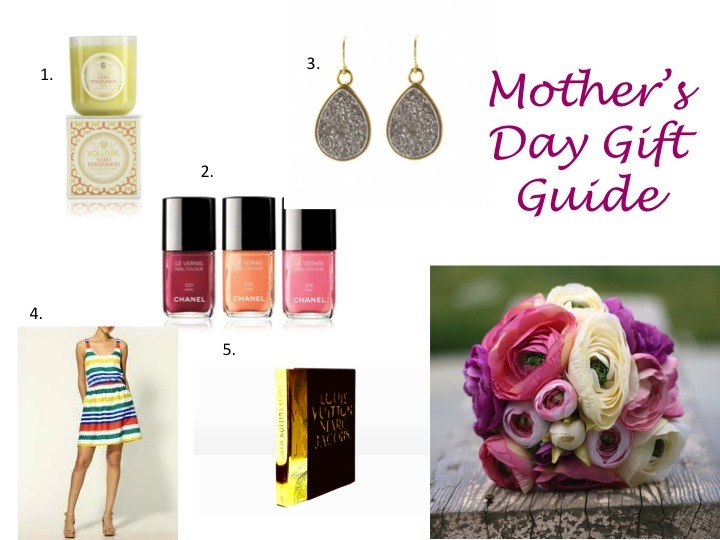 Great ideas for Mom's day!! I love the candle!